Getting the best value for your dollar is job No. 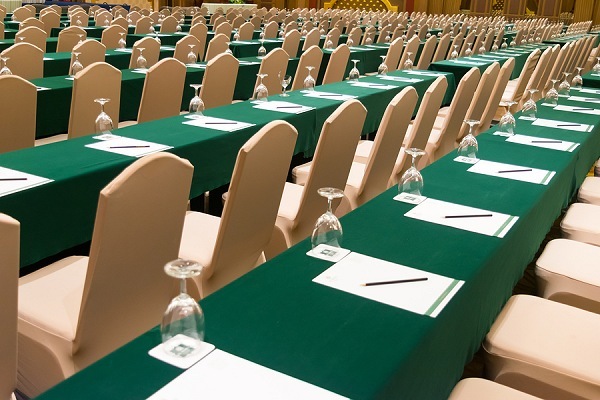 1 for most meeting and event planners, and arming yourself with some basic knowledge about hotel and facility profit centers is key to striking a favorable deal for your organization or client. Following are some factors that influence hotel pricing and availability, as presented by Robyn Mietkiewicz, Senior Director of Global Meeting Management for Meeting Sites Resource, a global strategic meeting management solutions organization, as presented during her March 2018 “Successful Negotiations in a Seller’s Market” webinar for Meetings Today. (Missed the webinar? See the end of this article for an On Demand link). We’ve highlighted some of her key points from the presentation and also gave Robyn a chance to further elaborate on them. This is the biggest profit center for hotels at 77% gross profit, according to Mietkiewicz. Robyn Mietkiewicz: Understand how hotels value your meeting/RFP. Hotels analyze everything from arrival/departure pattern, rooms to space ratio, F&B contribution, lead time, history, seasonality, incremental revenue and other groups contracted over your meeting dates. All hotels focus on pattern selling, by market segment. Robyn Mietkiewicz: Understand your leverage. Are your dates flexible, can you shift your pattern, do you have a strong history of room pick up and spend by category, can you waive your meeting room rental by increasing your F&B commitment? This is the second-biggest profit center for hotels, at 38% gross profit, according to Mietkiewicz. Robyn Mietkiewicz: Finding cost savings in the area of food and beverage is a top-line concern. Work with the banquet chef to customize menus using seasonal items or sharing menus with other in-house groups (to capitalize on purchasing economies of scale). Also consider shortening receptions, or skip breakfast and serve an a.m. break instead. Hotels use meeting space to sell total group rooms inventory. Robyn Mietkiewicz: Consider your rooms to space ratio, which factors greatly in what you will end up paying for meeting space, and even if you pay anything at all. Most hotels are now saying, “If you want 25% of my sleeping room inventory, you can have 25% of our meeting space.” If you have a space-intensive group, determine ways you can get creative with space and ask your hotel partner for suggestions. Find out if the hotel has a sleeping rooms-only group that you can marry your group together with if you have extensive space needs. This is the projected revenue for business center, AV, production, Internet, golf/spa, sponsored events / ICW revenue (ICW = In Conjunction With), etc., at a facility. Robyn Mietkiewicz: Your group’s ancillary spending can add up. Although sleeping rooms and group F&B represent the largest portion of revenues and profitability, estimate your ancillary spend revenue contributions and make this part of your negotiation process. As an example, if you are doing a golf tournament or have spouses or guests with spa time or other activities, this certainly adds to potential revenues. If you have a sponsor paying for something at the hotel, that is still revenue you are bringing to the hotel as a result of your meeting and should be captured and communicated with your overall meeting value. 3 to 4 years is the magic number for most hotels. Robyn Mietkiewicz: In today’s market, hoteliers can be choosy and are turning down more meetings than they accept. Hotels do reciprocate and provide each other with history and meeting performance, which often determines the pecking order of their meeting options. Do your homework on this before negotiations begin. Robyn Mietkiewicz: Knowing levels of demand—high, shoulder and off-season—over your set of dates is critical to getting the best deal. Learn what the sales seasons are at the facilities you’re researching and consider an off-season booking for the greatest discount, or a shoulder-season reservation if you want to balance, typically, a higher risk of bad weather counter-weighted against more-favorable rates. “Regardless of shifts in the marketplace, when meeting planners carefully evaluate each meeting and understand their leverage, flexibility and have a negotiations plan, clearly they will add more value to their meetings and bottom line, with an emphasis on risk reduction,” Mietkiewicz said. To discover more of Robyn’s tips about meeting space negotiation strategies, view her “Successful Negotiations in a Seller’s Market” webinar on demand, for free, by clicking here.